We’re always appealing to that person who’s desperate to see the latest content – whoever might have made it. Why? 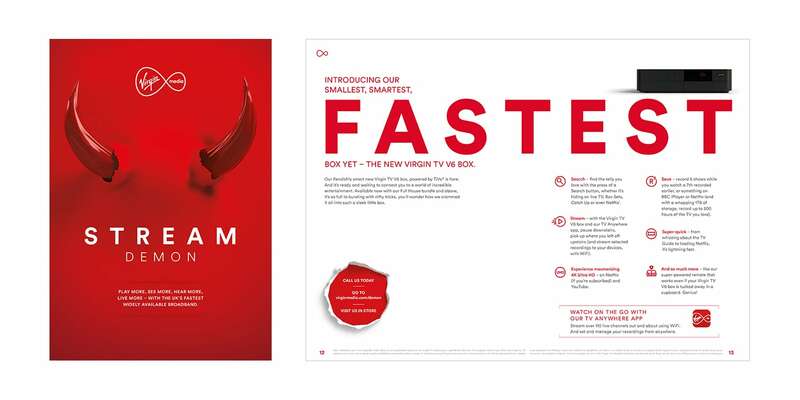 Because Virgin Media are avid fans, too. As an aggregator of content, they do exactly what fans do: seek out the best stuff, share it, and celebrate it. 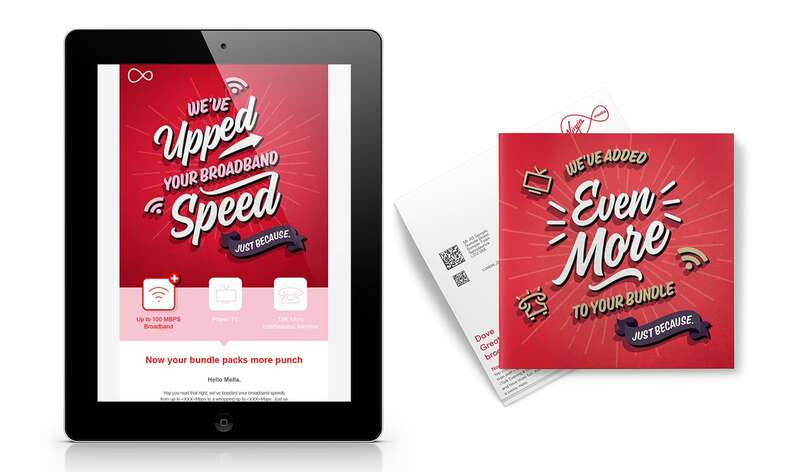 Whether we are selling blisteringly fast broadband, carefree mobile upgrades or top TV packages – the message is brutally simple. Copywriters capture attention with that trademark Virgin wink. Art direction hits the brand principles of ‘red hot’ design. And we always remind both our current and potential customers that the quality content is backed up with the fastest speeds and unlimited data allowances that won’t stop the onslaught of entertainment. Ballsy lines and bold designs stand out in a sector that’s often deeply complicated by confusing packages and price points. We cut through the clutter. And most importantly, we always close the deal by applying the tried and tested principles of the RAPP Direct Response Model.